You should have seen the look on the faces of that foursome few years ago with Jack Nicklaus pulled up behind them on the first tee. They didn’t look happy when a group of carts drove up during the back swing of a player in the group, but the anger in the group quickly subsided and turned to glee when the Golden Bear jumped out of his cart and said, “how you guys doing?” Well, it’s a rare occasion for Nicklaus to appear at Bear’s Best Las Vegas, his paw prints area over the place. Click to Visit Bear’s Best Las Vegas, and Book a Tee Time! It’s a pretty cool 19th hole conversation: What does Jack Nicklaus think are the best holes he has designed at his courses? Well, you can experience 18 of his favorites when you play Bear’s Best Las Vegas. 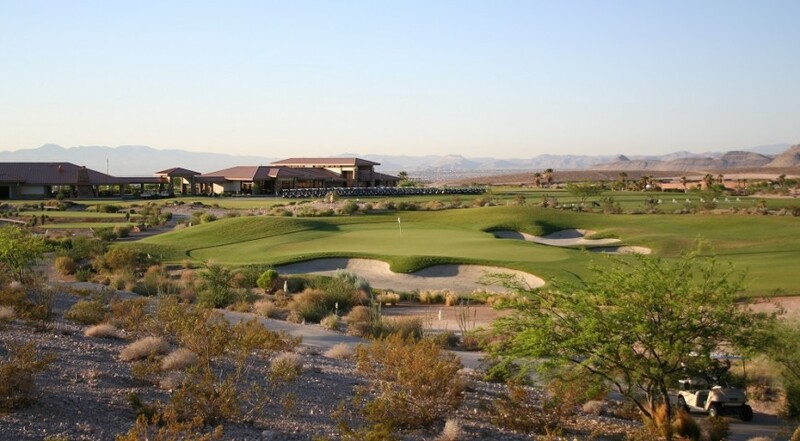 This Las Vegas resort golf course features 18 replica holes from some of the Golden Bear’s best golf courses. 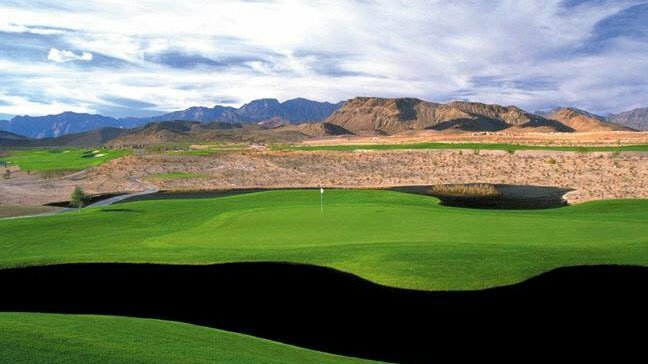 Bear’s Best Las Vegas features holes from PGA West, Cabo Del Sol, Castle Pines and Old Works, and several other Nicklaus gems. Each hole includes unique design elements and native vegetation to help transport a golfer to the original. Pine trees and elevation changes highlight the hole from Castle Pines in Colorado, one of the prettiest courses in the world. 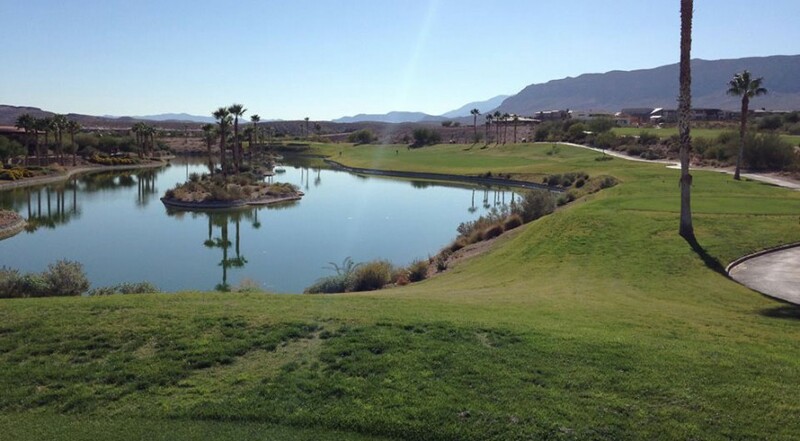 Palm trees and water highlight the hole that replicates PGA West in Palm Desert. Black slag from Montana fills the bunkers of the hole from Old Works where the original was built on an old mining site. 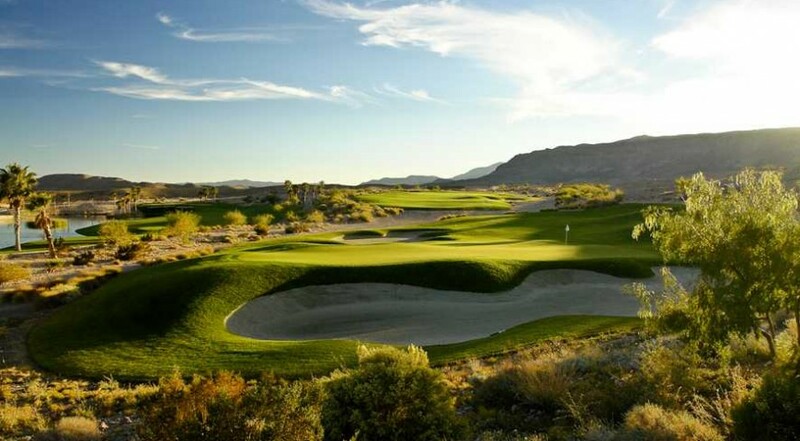 Nicklaus hand-picked the holes from his many amazing golf courses to replicate here, and you get to experience many exceptional golf courses in one, 18-hole Las Vegas golf journey. Nicklaus once said that the selection process to choose holes to replicate at Bear’s Best Las Vegas was more difficult than creating a new course from scratch. His end result creates a unique Las Vegas/Nicklaus golf experience. 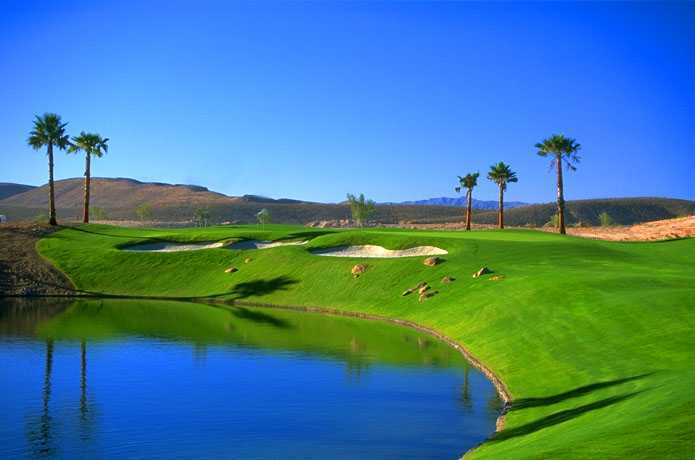 Bear’s Best Las Vegas is managed by ClubCorp and golf carts are equipped with state-of-the-art GPS systems. A complete clubhouse features a restaurant—Jack’s Place– and an event area that is perfect for weddings, company meetings, parties, and golf tournament receptions.